From the Technology Enhancement Programme (TEP), this book looks at a self-contained programmable device called the IQ3 which is capable of use in a wide variety of engineering contexts ranging from simple door interlocking to production line control and robotics. The IQ3 has four outputs each capable of sourcing approximately 1Amp and two inputs that facilitate automatic switching between program sequences. It is programmed line by line simply by setting switches but has a non-volatile memory and so can be applied, if required, as a one-off programmable device like a programmable interrupt controller. All the key switches are paralleled by solder pads to enable flying leads to be connected to external switches. The examples given in this publication demonstrate the versatility of the IQ3 board considered either as a dedicated programmable controller or a very basic programmable logic controller. Detailed instructions and examples of programming are provided. 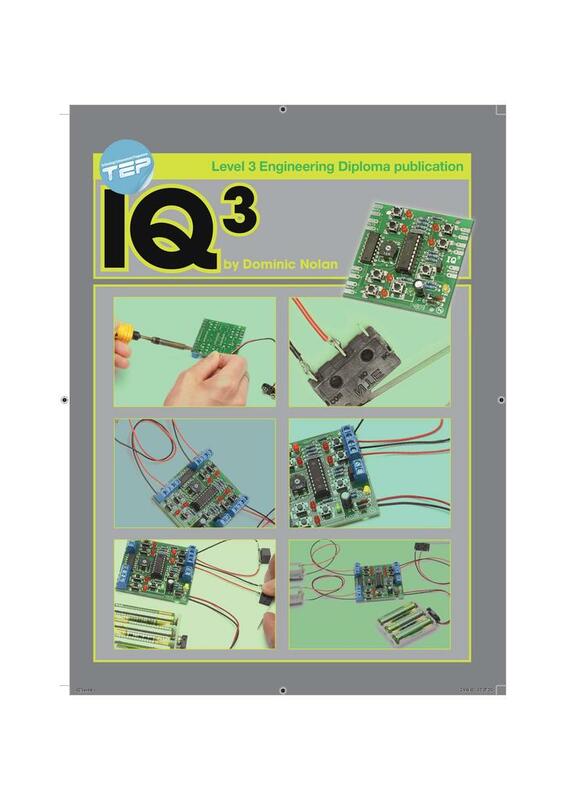 The book illustrates how to use the controller, programme it and connect external devices to the IQ3. This allows students to practise programming and gain a greater understanding of control systems.